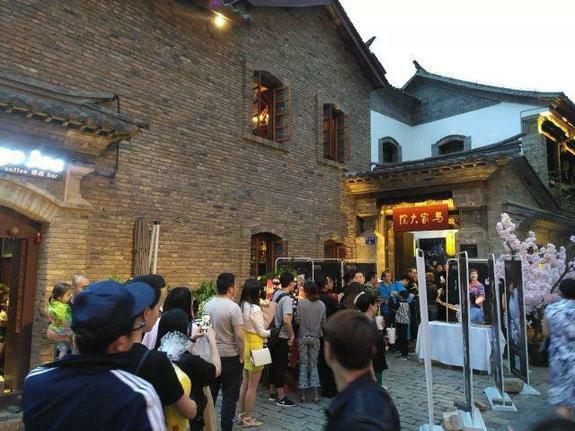 Covering an area of 1,146 square meters, Majia Courtyard is situated at Xiaoyingui Lane, Laojie Street (老街街小银柜巷). The courtyard was originally built in 1923. It is the former residence of the first mayor of Kunming – Ma Zhen (马鉁). The courtyard is a two-storey wooden building with a 200-square-meter bluestone patio in the middle. The wooden doors and windows there are decorated with exquisite carvings. Majia Courtyard offers a spacious patio and spacious corridors upstairs and downstairs. The central rooms upstairs and downstairs feature beautifully carved lattice doors, and the wooden components such as the architrave are also exquisitely carved. You will find the fine sculptures presenting the folk culture of several nationalities on the column heads and square columns, such as “two dragons play with one bead”, “peonies”, etc. Nowadays, the courtyard is used as a theater where several dramas are regularly performed. The dramas reflect the local culture in Yunnan, such as “Show of Kunming Old Street” which presents the old and mysterious ceremony of worshiping the tea ancestors in Yunnan and "Kunming Old House" real-life experience drama which is tailor-made for the Majia Courtyard. “Kunming Odl House” demonstrates the changes of Kunming in the past 100 years through the life of the Family Ma. When national calamity came, the Kunming people showed their patriotism to drive the invaders out of the country. Please note visitors are not allowed to explore the courtyard when actors are having a rehearsal there. The best time to visit Majia Courtyard is in the morning. If you are interested to enjoy the drama, the opening time for it is from 20:00 to 21:30. As Majia Courtyard lies close to Golden Horse and Jade Rooster Archway, you could take a bus to the archway first and then walk to the courtyard. Therefore, there are a few options. Rent a vehicle to the courtyard. This is the quickest and most direct option. Take Bus 3, 4, 62, 90, 98, 213, a1 and Bus k12 to the Stop of Jinmafang (金马坊站). As at 21st January 2019, the entrance pricing to the courtyard is free of charge. If you are planning to admire the drama at the courtyard, please check out the pricing online. Generally speaking, the opening time for the drama is from 20:00 to 21:30. Please keep quiet at the courtyard! Interested in visiting the Majia Courtyard on a Tour? Wendy Wei Tours offers a variety of different packaged tours as well as custom tours including the Majia Courtyard, among other attractions and destinations. To find out more, please visit our Tours page or Contact Us directly to find out more.